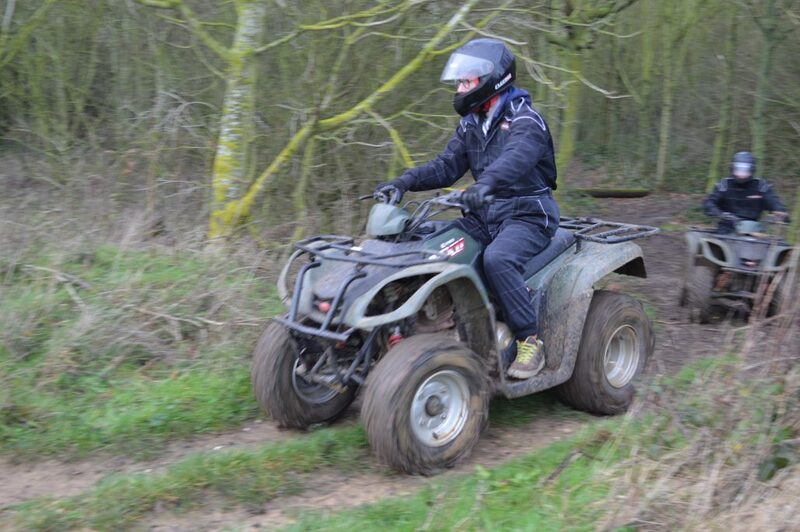 our experienced marshal will lead you on a trek to suit your ability. 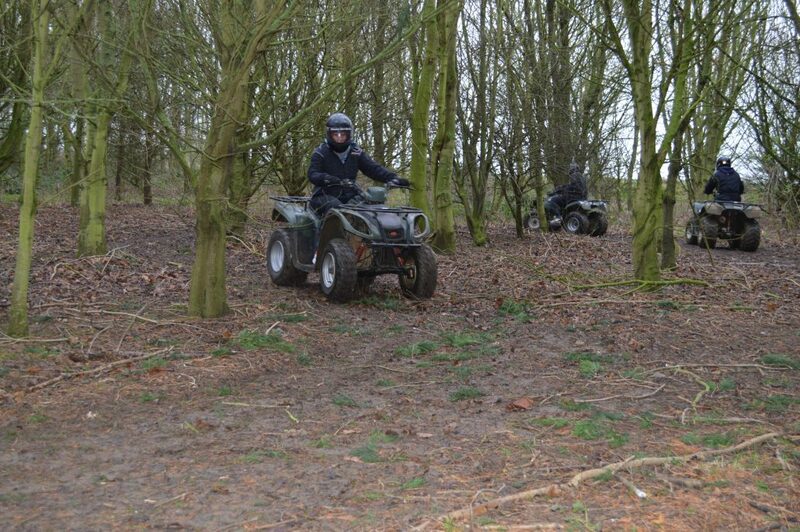 Using a 150cc automatic quad bike you will have enough power to get yourself out of any situation. One of our trained marshals will lead and supervise your group for the full duration of the session. 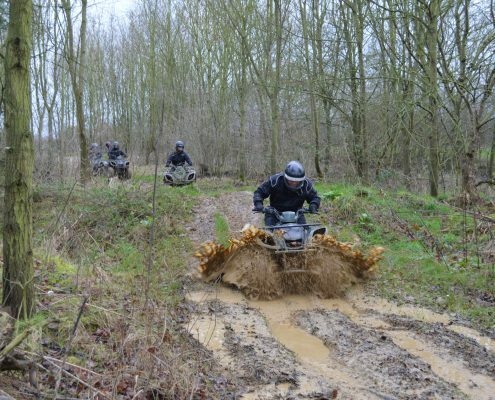 Whether it is a scenic ride through the woods or MUD-tastic mounds and splashing through puddles, you are bound to enjoy this fabulous all weather activity. 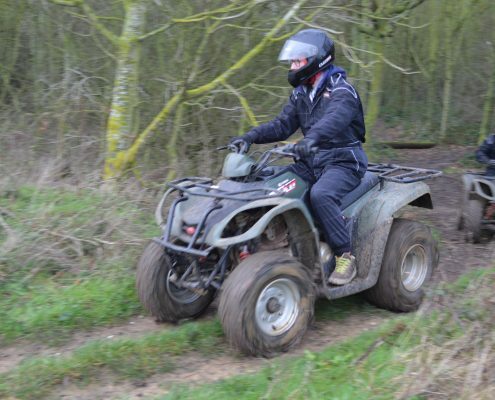 You will be riding our fabulous fully AUTOMATIC 150cc quad bikes over terrain that suits you. 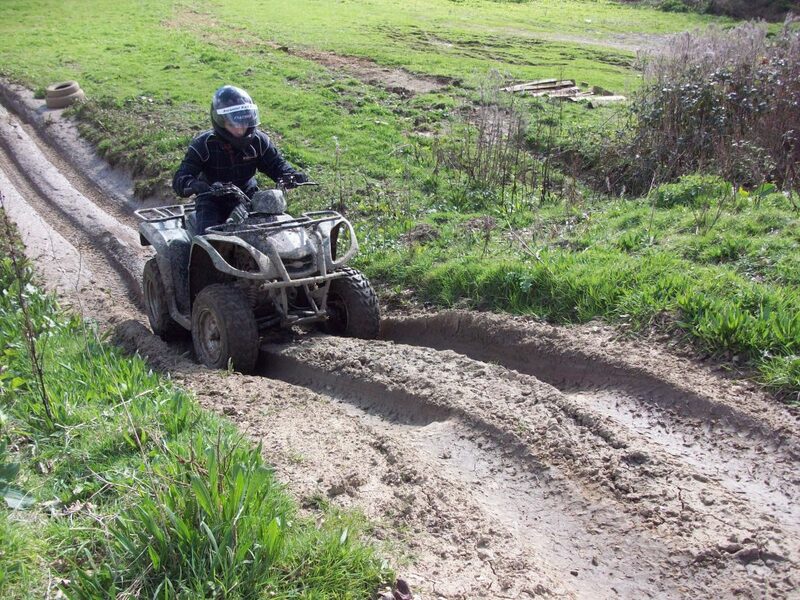 You will be given in depth instruction and tuition on quad riding and safety, by one of our trained instructors, so if you’ve never done this before, don’t worry! All of the safety equipment is included at no extra charge, just remember to wear appropriate shoes that you don’t mind getting muddy! 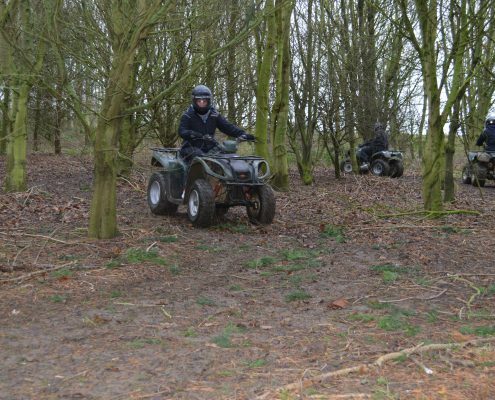 Our instructor will lead you over our purpose built course where you will encounter woodland trails, off road riding, inclines and descents and more than likely…. 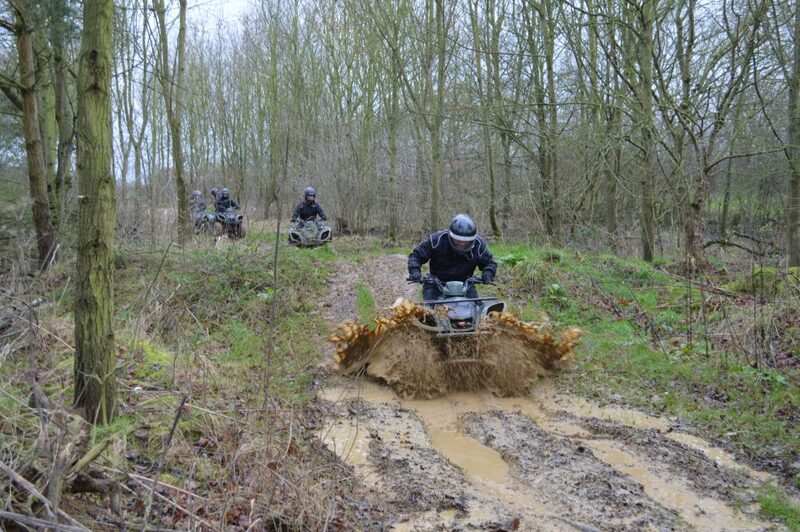 plenty of mud! Each trek is tailored around the skill set of the group, so is absolutely fine for a first timer through to competent riders. 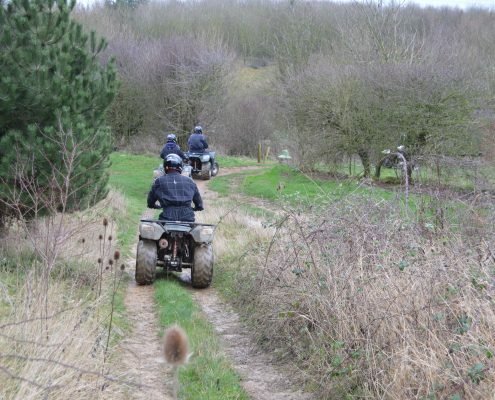 What is the minimum age for the quad bikes? 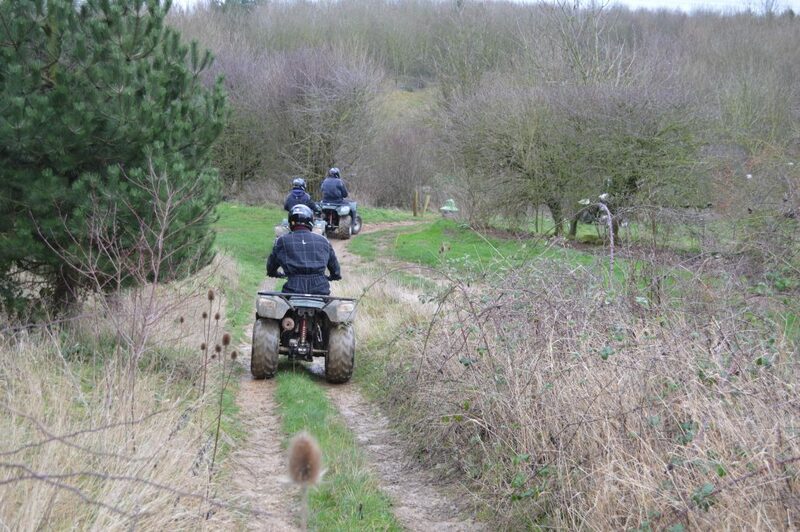 The minimum age for the quad bikes is 16. We suggest that you wear old clothing and sensible footwear that has ankle protection but trainers are ok. Yes we provide helmet, overalls and gloves. Yes as long as it is compliant with modern standards. 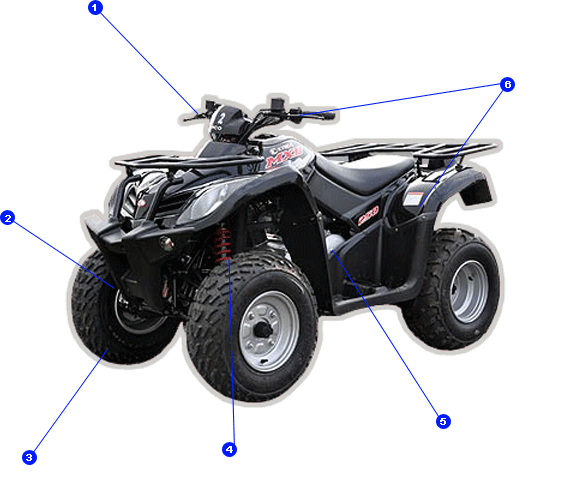 What quad bikes go we use? You will be using Kymco mxu250cc automatic bikes. What does the trek involve? 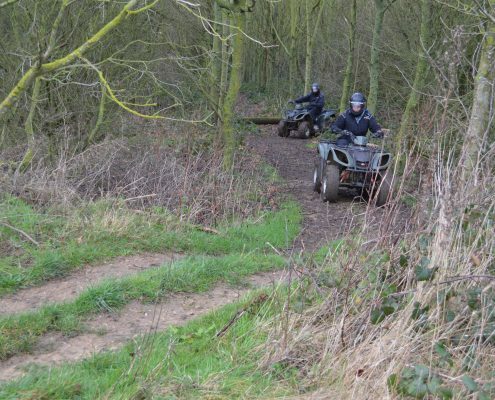 Our quad course has been purposely built and covers 300 acres of land going through tight woodland areas and hills and hollows through to our ATV course which challenges the best of riders. What happens if someone doesn’t turn up for my event? Can I watch friends/family that go on the trek? No the trek goes off around 300 acres, so it is not possible to watch. 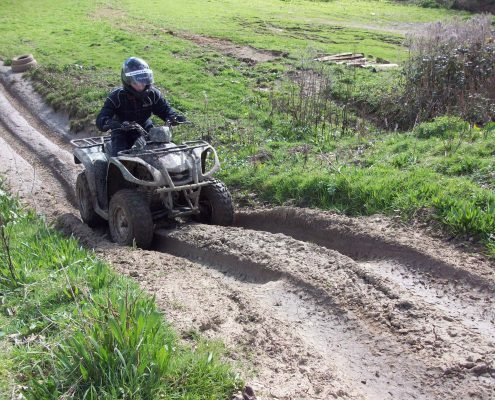 Are Quads suitable for beginners? Here at Ancaster Kart Racing our staff provide very high standards of instruction and will help beginners, but we suggest that they are in a separate group as to not slow down others. Do we get to race? 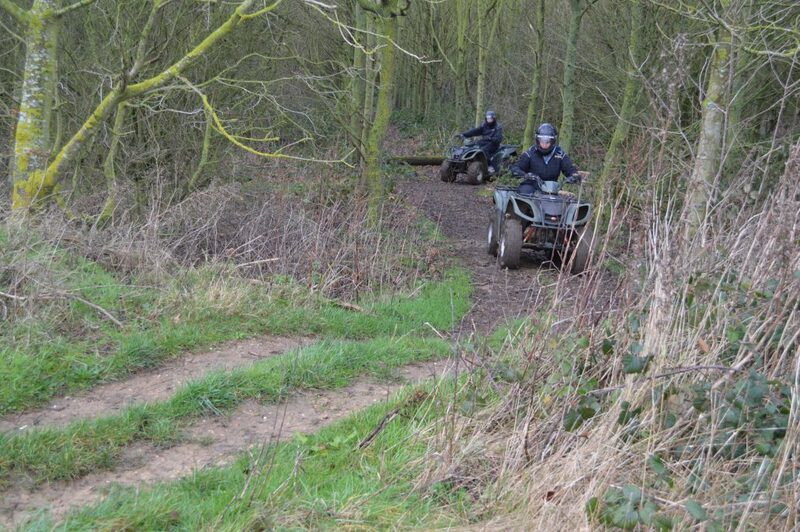 Our quads course is a trek, It is single file from start to finish. Do we need a spare change of clothes? It is highly recommended that you bring a spare change of clothes. Yes we do require a £20.00 non-refundable deposit per person on booking. If we need to cancel a booking due to severe weather conditions then we will contact you at least 1 hours before your stated arrival time.